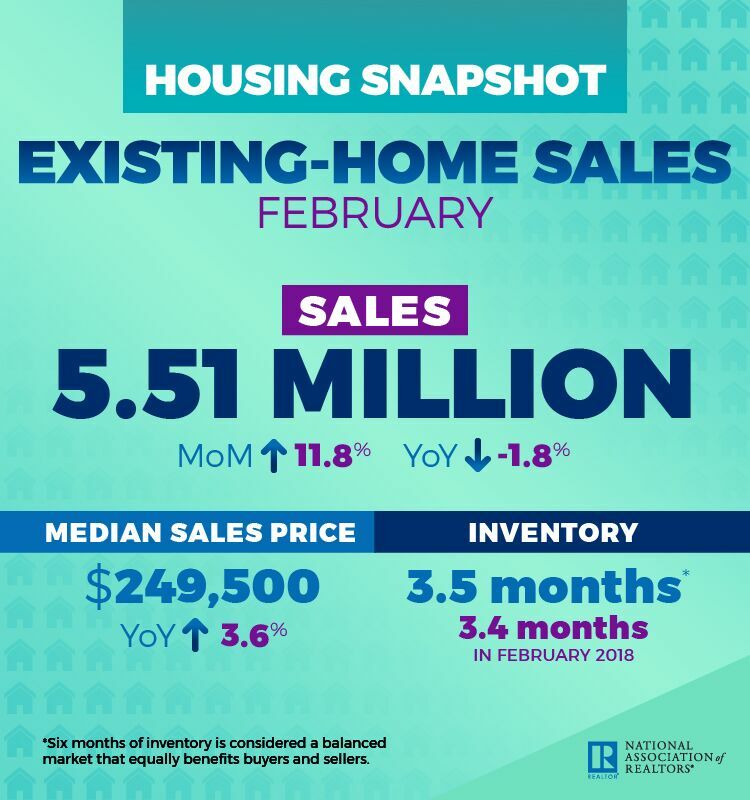 Existing-home sales in February spiked by 11.8 percent from January to a seasonally adjusted rate of 5.51 million, the greatest largest month-over-month gain since December 2015, according to new data from the National Association of Realtors (NAR). On a year-over-year basis, however, sales were down by 1.8 percent from the 5.61 million level in February 2018. 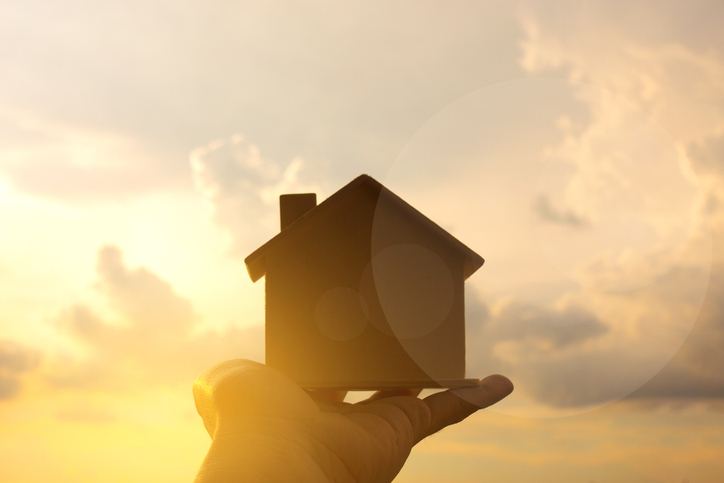 “A powerful combination of lower mortgage rates, more inventory, rising income and higher consumer confidence is driving the sales rebound,” said NAR Chief Economist Lawrence Yun. The median existing-home price for all housing types in February was $249,500, up 3.6 percent from the $240,800) price recorded one year earlier. February’s price increase marks the 84th straight month of year-over-year gains. The total housing inventory reached 1.63 million last month, up from 1.59 million existing homes available for sale in the previous month and up by 3.2 percent increase from 1.58 million in the previous year. Properties remained on the market for an average of 44 days in February, down from 49 days in January but higher than the 37-day average in February 2018. Forty-one percent of homes sold in February were on the market for less than a month.